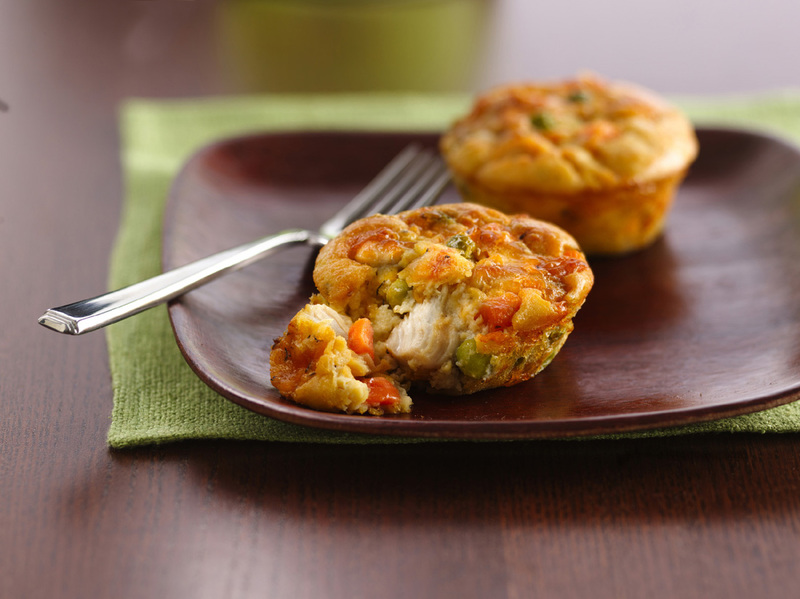 Above: Impossibly Easy Mini Chicken Pot Pies. — Great American Spam Championship: adults, 1 p.m. June 8; kids, 2 p.m. June 23. This year’s contest is all about the sandwich — from Dagwood-style to a Monte Cristo to a Reuben and everything else in between. But you are limited to 10 ingredients or less. First prize is $150 and a shot at the grand prize, a trip to the Spam Jam Waikiki Festival. Judges will be looking for taste, creativity and presentation. — New this year is a Pie Baking Championship sponsored by Pillsbury Refrigerated Pie Crusts: 1 p.m. June 15. So yes, you have to use at least one. Categories are dessert pies and savory pies. Top dessert pie wins $200; top savory pie wins $75. Judging based on creativity, simplicity, taste and presentation. — Ghirardelli Chocolate Championshiop, 1 p.m. June 22. Using Ghirardelli 60% Cacao Bittersweet Chocolate Chips (and as much Ghirardelli baking chocolate as you like), create a bite-size delicacy for this contest. Top prize is $150, and the top three winners and a randomly chosen contestant will win a gift basket full of the company’s chocolates. Judges are looking for appearance, taste, creativity and ease of preparation. — Another new contest, this one sponsored by Bisquick: Family Favorites Recipe Contest, at 1 p.m. June 23. Use Bisquick mix to “reinvent a classic appetizer or revitalize an everyday main meal.” That gives you creative cooks a lot of leeway! Top prize is $100; judging based on appearance, flavor and texture. — Also new, and also focusing on bite-size goodies: Sweet-Treats for Sweet-Hearts Contest, 1 p.m. June 29, sponsored by Karo Syrup. Judges are looking for taste, creative use of Karo, presentation and ease of preparation. Top prize is $125 for the Top Sweet-Treats (any size), with an extra $100 for Best Bite-Size Treats. — Last, and also new: Scratch Bakers Cookie Challenge, 1 p.m. July 4. Sponsored by the Gold Medal Flour folks. Use the flour to create any kind, size or style of cookie from scratch. Top prize is $100. 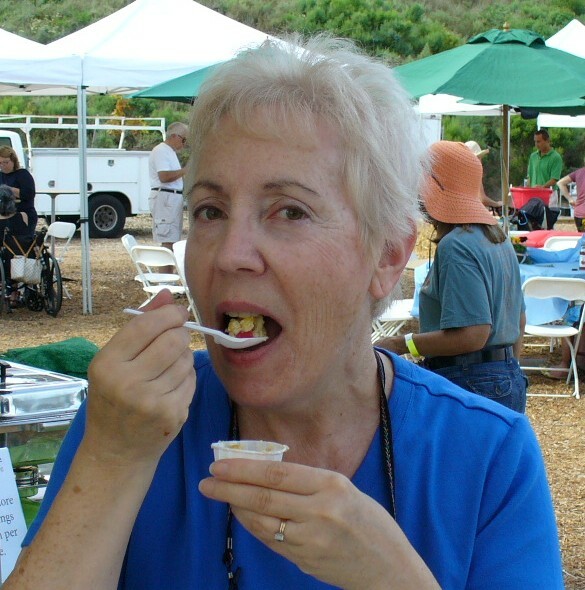 Judging is based on appearance, flavor and texture. Heat oven to 375 degrees. Spray 12 regular-size muffin cups with cooking spray. Bake 25 to 30 minutes or until toothpick inserted in center comes out clean. Cool 5 minutes. With thin knife, loosen sides of pies from pan; remove from pan and place top sides up on cooling rack. Cool 10 minutes longer, and serve. Makes 6 servings (2 mini pies each). Summertime (and we’re rapidly approaching it) is picnic time, barbecue time, get-together time for many of us. And many of us will be cooking burgers, hot dogs and other foods that just cry out for some good ketchup. 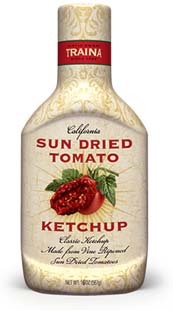 Something new to top them with is California Sun Dried Tomato Ketchup from Traina. It’s made, yes, with sun-dried tomatoes reduced down to a ketchup with a thicker texture than many other ketchups. According to the Patterson, CA-based company, that’s 4 pounds of Roma tomatoes in every 16-ounce bottle! The taste is still sweet, but not sugary, deep and richer. (Comparing the label to that of my other store-brand ketchup shows it has slightly less sugar and sodium overall.) A 16-ounce bottle retails for $4.99. You can find it in San Diego at Gala Foods on Grape Street, or order it online at http://www.traina.com. One of my favorite kitchen utensils is the simple spatula. The kind that scrapes bowls and pans (not the kind that flips fried eggs). It’s great for getting those last little blobs out of bowls, bottles and blenders. BUT — I’ll be honest with you — I could never get mine completely clean. Little bits of I-don’t-know-what got under the handle and stayed there in a state of unreachable and permanent grodiness. Yes, the blade part was spotless, but — that ick under the handle bugged me. Until I read online about the dirtiest places in the kitchen and how to clean them. Spatula was right up there — as well as how to TAKE IT APART to clean it. Most spatulas are built the same, wrote the posters (www.recipe.com/blogs/cooking/nine-dirtiest-places-in-your-kitchen-youd-be-surprised) — you can basically just grasp the blade (as in photo above) and yank it apart (photo below). Well. All these years of cooking (and cleaning) and I had no idea you could take a spatula apart. I felt pretty dumb. I marched to the kitchen and took mine out of the drawer. Yank! Pop! and there it was in two pieces. My British pal Daphne and I were chatting in our local produce market recently when she spotted a display of bright green fava bean pods. “Oh! I must get some of these. They’re wonderful. We call them broad beans, you know. You must get some; this is a terrific price.” (It was — only 49 cents a pound.) I had to agree, and scooped up several handfuls myself. Fava beans are showing ever-so-fleetingly in the farmers markets these days. If your only encounter with the fava bean is the Hannibal Lecter quote from “Silence of the Lambs,” well, it’s time to reset the brain banks. Buy yourself a bagful of the oversized bean pods — you’ll need more than you think, as each pod holds only a few beans. But the beans are large, so they add up. As you can see in the photo attached, the beans are well cushioned in the pods, which almost look like styrofoam stuffing on the inside. So shell them, drop them briefly into boiling water (about 30 seconds, or until you can see bright green shading through the “second” skin), then drain and rinse in cold water. 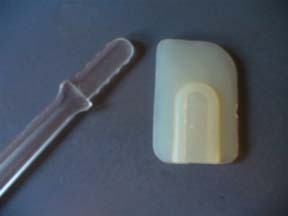 To remove the skins, which will now have some slack on them, my method is to pierce or tear it with a thumbnail, then push or squeeze the bean out (faster than trying to peel it). The two bright-green beans at the bottom of the photo are what you’ll end up with (the skins are above them). 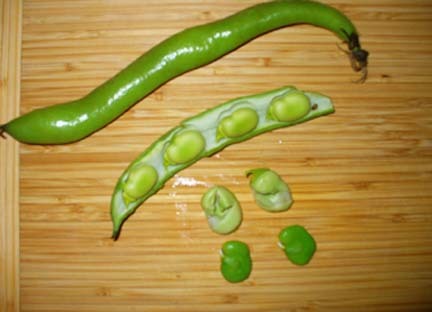 Though they are a bit of trouble, favas are tasty — not mealy like legumes, but more like fresh peas, with a touch of bitterness. I like them best just added to a salad. If you can shell enough of them to make a side dish, they’d also be good simply cooked and buttered. Try them in soup, mash them into hummus — just be sure to grab some as soon as you spot them!